Join myself and my thriving community as we support you on your journey of love that will take you back to the centre of your own heart. We explore powerful transformation tools such as superfoods, plant spirits, presence and more in our quest for true self love. It's all very raw and extremely personal. I always wanted it to be this way... a safe place for us all to transform without judgement. Which means if you join my full life mastery club, you'll see us "warts and all". We talk about all the stuff no one else talks about, and we look at ourselves with so much love that those bits that aren't pure love eventually break off and disintegrate. But if you want to join the full club, you've been warned. Transformation isn't beautiful, it's a harsh, ugly and relentless process that you can't avoid if you want to completely uncover your authentic self and live your life with an open grateful heart as well a a peaceful mind. So what do members get? Well, we are just about to embark on a six weekly talking stick Zoom circle... where you get to be with yourself in our presence. We can help and talk things out if that's what you want, or we can just witness you. I've put the dates inside. Because it's Zoom, you can join in anywhere in the world. Go raw in a weekend with these full colour recipes, shopping lists and guides. Become a fully fledged raw foodist in just 23 days, with everything you need to know including recipes and nutritional guides. Find yourself and your purpose in just seven days. A complete brain training program that will change the way you think so you can bring abundance, happiness and love to you world. 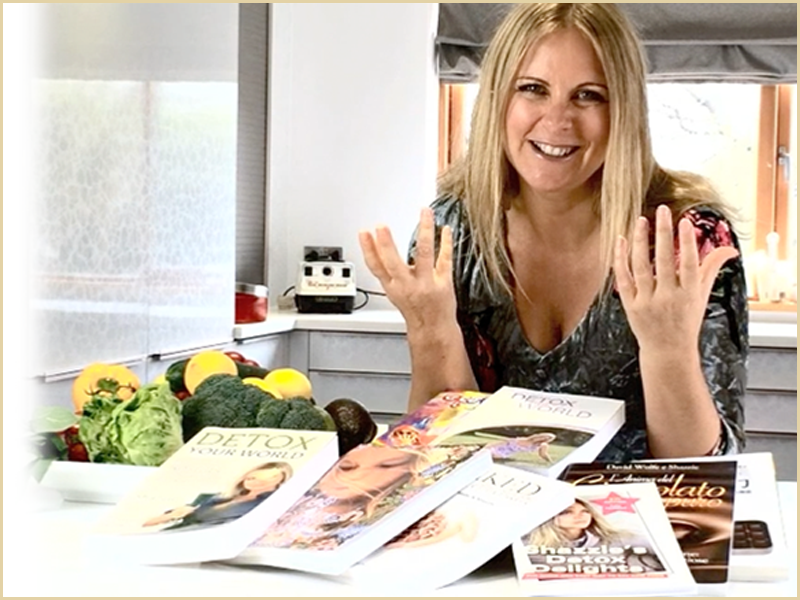 Five whole years of my raw food journals to help you go raw with confidence. You get access to our private Facebook group, and I'm in there daily, as are many of your peers. You also get ten years of my best life mastery work -- worth about $30,000 if you could buy it. From aromatherapy to zen meditation, it's all in here. You can cancel any time, and I've kept the price low so you can get transforming the deepest darkest parts of you with no excuse. You'll be on the road to self empowerment the moment you join us. The members are positive and intellectual, and you'll have warm wellness warriors helping you on your journey. I've made wonderful leaps in my goal setting, relationships and wellness, because of this group and the magical Shazzie! My favourite part of the VIP Room is the FB Group. I never used FB before and now I just love it because of Shazzie's FB group for the VIP Room. We talk about so many things in a MEANINGFUL and SAFE way. I love it. Every month we cover different themes so it's also well organised and presented. It's really helped me to open up about many things. I have also learnt so much about myself. Plus, it's lots of fun and light hearted, I highly recommend. This VIP room is so full of brilliant content - everything I need to get my life back on track. Thank you Shazzie, you have been SO GENEROUS. I have been following Shazzie’s journey since 2002, but it was only last winter that I joined her VIP Room. I’m so glad I did! Not only do I have access to those early blog posts that so inspired me way back when, but also so many of her other courses and recipes! But the best part of her VIP Room is the Facebook group. It is a warm and safe environment and the people are all so kind and caring. I love the monthly challenges and I'm looking forward to an amazing 2018! Everything you need to create a great life! 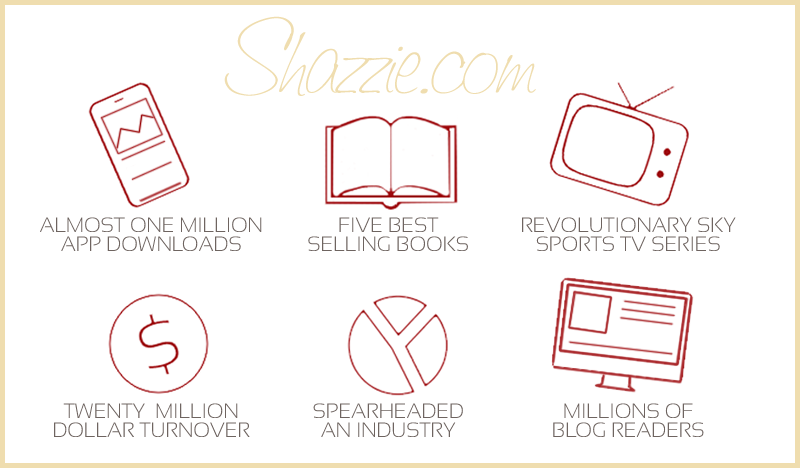 I joined Shazzie´s VIP Room when it first launched years ago and I've never looked back. It´s been so uplifting, fun and inspiring to be a part of this community. The content is great! If you need inspiration for your life and want it presented in a professional, yet creative and entertaining way, then join Shazzie´s VIP Room now, because it´s all that and more! I highly recommend it. I love this room, Shazzie is such an honest, authentic person and ready to find a solution. Everything you could ever need is here for the taking. Shazzie’s VIP room is a friendly, supportive and imaginative place to be. It’s full of tips and insights in to wellness on all levels and a lot of self empowerment! There are different themes each month which you can join in with or dip in and out as it suits; you’ll always learn something new. Steered superbly by Shazzie and her commitment to create a really useful and uplifting place to be, it’s certainly the best fb group I have been involved in. I’m impressed! OVER $31,471 WORTH OF GOODIES AS SOON AS YOU JOIN! Join over 600 other VIPsters who have chosen to radically transform their lives in this exclusive club. Life & Business Mastery Mentor, TV Presenter and Author of five books and several apps. More importantly, I’m the taxi driver, chef and housemaid to my beautiful teenage daughter Evie. We live with our doggie and two guinea pigs in our luxury bespoke eco-home in Sussex, UK. Yes, I have a Jacuzzi in my bedroom, a disco spring water steam room and a fabulous smokey mirrored kitchen. I was born in Yorkshire, UK, but never stayed anywhere very long. I trained as a graphic designer in the early nineties and was one of the world’s first web, GUI and touch screen designers. During that time, I travelled the world and lived the life of my dreams. But something was missing and made me feel deeply unfulfilled — I realised I wasn’t living my purpose. I was so stressed and out of touch with my true purpose, I looked older at 28 than I do at almost 50! Eventually it hurt too much, so I made some radical changes to my life. I cleaned up my diet and moved to Spain for a couple of years, to stare at orange trees until I decided what I wanted to do. Then I unwittingly changed the world with multiple revolutions. Having started one of the world’s first blogs in 2000, I found myself with millions of readers, a fledgling business, viral videos and blog posts and a very steep learning curve. I became the hostess of a TV series on Sky (Raw Kitchen). I became one of iTune’s most downloaded meditation authors (Sleep Easily, almost ONE MILLION downloads). And I turned over around $20 million! I didn’t let becoming a homeless single mummy and many other personal dramas stop me. In fact I just kept focusing on what I loved to do and now I reap the rewards daily. Once I’d established my business, I reduced my working hours to about ten a week. In 2012 I sold my business, paid off the mortgage on my gorgeous home and kicked back and relaxed into early retirement, aged just 43. I have to stress that I did this without the support of a man, trust fund or savings. It worked out because I had a passionate vision and I would do anything to make it happen. Even if that meant rubbing tropical fruit all over my body in one of Youtube’s first ever viral videos. …Happy, abundant, financially free and most importantly able to spend time with those you love the most. My life mastery club (Shazzie's VIP Room) and my business mastery club (GYFM Member's CLUB). Most of my clients are in both clubs, because it's so much easier to master your business when you've got a grip on your personal life. I’m so crazily accomplished, I want nothing more than to help you deal with your big stuff so you can then revolutionise the world according to your Vision Of Love. And I'm really hands on in both my clubs, which means we work together to uncover and deliver the most incredible personal and business gifts, achievements and desires. I know right now it’s hard to imagine anything more than you already have. I NEVER imagined my life could be like this. EVER. I truly thought I’d end up working in a fish and chip shop, because I didn’t know people like me could live a life like this. So as soon as you join either or both of my clubs and work with me (remember I'm there for you, for a lifetime) you’ll quickly know exactly what you need to do to become abundant and free while delivering your grandest vision of love to the world.